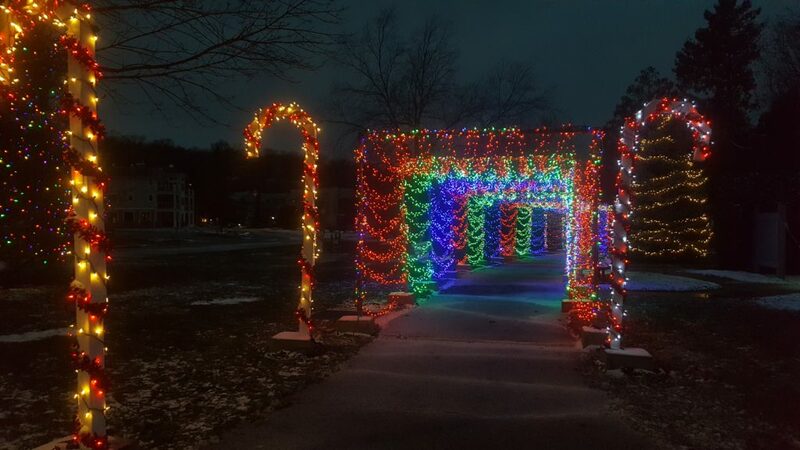 Explore the Door with a hot cup of cocoa or coffee and see the beautiful Holiday Light Displays in each town! Find Holiday Concerts & Events to attend before, during and after Christmas Day. Find Door County Theatre and lots of Live Music at Restaurants, Pubs & Concert Venues all over the peninsula. 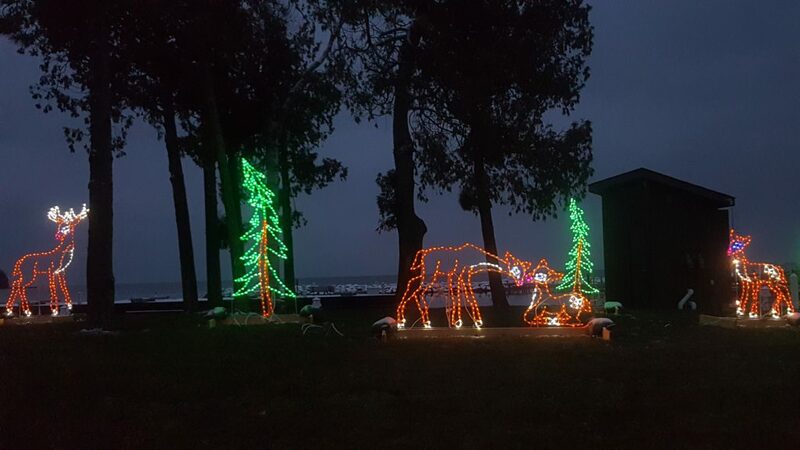 Celebrate The Holidays with family or friends in the beautiful, natural landscape of Door County, Wisconsin! * Eagle Harbor Inn is located across from the Bay, on the main street in Ephraim, this intimate and welcoming Bed & Breakfast Inn offers elegant Whirlpool Suites with kitchenettes and B&B rooms, providing a perfect balance of quaint charm with many resort amenities. We have plenty of availability December 21-26 in B&B rooms as well as our One and Two Bedroom Whirlpool Suites. No Minimum Stay during this time! * Birchwood Lodge in Sister Bay is located within walking distance of shops, restaurants, bars, recreation, a grocery store and the beach/marina/waterfront park in Sister Bay! We have all room types available for those dates. No special minimum stay requirements. Premier Suite: Our standard rooms, at the rate of $85(weeknight)/$105(weekend) +tax per night. Maximum occupancy for this suite is limited to four persons, regardless of age, with an extra charge of$10 per person, per night for the third/fourth person(s) age 13+. Every Premier Suite is a studio-style layout, and has one king size bed, a queen size sleeper sofa, full bath, double Jacuzzi whirlpool tub, gas fireplace,kitchenette, small sitting/dining area, TV/DVD, and a private deck/balcony. Grand One Bedroom Suite: The rate is $115(weeknight)/$145(weekend)+tax per night. Maximum occupancy for this suite is limited to four persons, regardless of age, with an extra charge of $10 per person, per night for the third/fourth person(s) age 13+. Every Grand One Bedroom Suite has one private bedroom with a king size bed, a queen size sleeper sofa in the sitting area, a full kitchen, spacious sitting/dining area, a full bath with a huge walk-in shower with multiple shower heads, a double Jacuzzi whirlpool tub,TV/DVD players, and a private deck/balcony with separate entrances from the bedroom and living room. Premier Deluxe Suite: The rate for this unit is $115(weeknight)/$145(weekend) +tax per night. Maximum occupancy for this suite is limited to four persons, regardless of age, with an extra charge of$10 per person, per night for the third/fourth person(s) age 13+. The Premier Deluxe Suite has one king size bed, a queen size sleeper sofa, two full bathrooms, double Jacuzzi whirlpool tub, gas fireplace, full kitchen with dining area, large living area with TV/DVD, and a private deck/balcony. This is the equivalent square footage of 2 single Premier Suites. Grand Two Bedroom Suite: The rate for this unit is $140(weeknight)/$170(weekend) +tax per night and is based on four-persons occupancy. The maximum occupancy for this suite is limited to six persons,regardless of age, with an extra charge of $10 per person, per night, for the fifth/sixth person(s) age 13+. There is a king size bed in each bedroom with a full, attached bath, a full kitchen, a queen size sleeper sofa in the sitting area with a gas fireplace, a dining area, TV’s/DVD players, and a private deck/balcony. Two Bedroom Village Home: The rate for these is $140(weeknight)/$170(weekend) +tax per night, based on 4-person occupancy. Maximum occupancy for this suite is limited to six persons, regardless of age, with an extra charge of $10 per person, per night for the fifth/sixth person(s) age 13+. Every Village Home has one king size bed in the master suite with a full,attached bath, twin beds or a queen size bed in the guest suite and another full bath, a full kitchen, in-unit laundry, a queen size sleeper sofa, a sitting area with a gas fireplace, a dining area, TV’s/DVD players, and a private deck/balcony. Farm House: The rate for this unit is $200(weeknight)/$235(weekend) + tax per night, based on 1-8 person occupancy. The maximum occupancy for this suite is limited to ten persons, regardless of age,with an extra charge of $10 per person, per night, for the ninth/tenth person(s)age 13+. The newly remodeled, historic Koessl Farm House, which can sleep up to ten people, is the perfect option for large groups of family and friends.Yesterday’s charm has been preserved in this home, updated with modern amenities, such as two 42” plasma, flat screen TVs/DVD, WiFi, two person Jacuzzi brand whirlpool tub and an electric fireplace. There is a fully equipped kitchen with dining area, a nice size living room area, and your own private deck with a gas grill. Lean back, relax and take in the distant water-view.